Digital marketing is the future of marketing; a future defined and led by risk-takers. By investing in digital marketing right now, you have the opportunity to be at the forefront of the transformation. 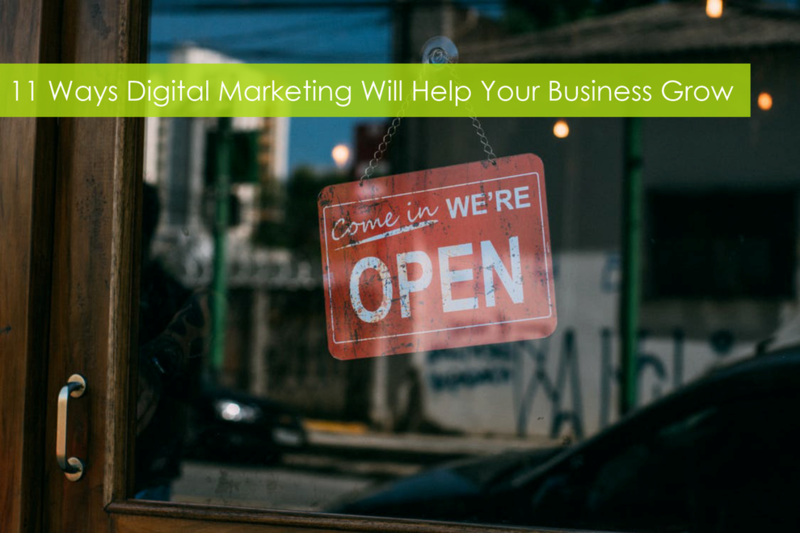 Here are 11 ways that digital marketing can have a positive impact on your business and help your business grow. 1. Increase brand awareness and recognition of your company. 4. Establish your credibility and protect your online reputation. 5. Nurture relationships with prospective clients. 8. Gather valuable information about your potential customers. 9. Learn more about your customer’s needs and wants using online research tools. 11. Gain a competitive edge over your competitors. In what ways has digital marketing helped grow your business? Got a digital marketing project? We're here to help. Contact us today!